We have partnered with 5’s Futbol to host all corporate team building and end of year functions on their sites. 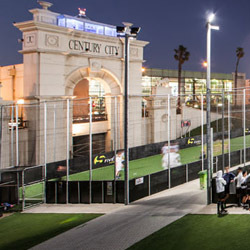 With an amazing central locating, situated across from Canal Walk Shopping centre, 5’s Futbol and Xtreme Scene will take your company and its staff on an amazing team building experience unlike no other. We are the front runners in a unique corporate experience and offer 90% of our product on their courts. 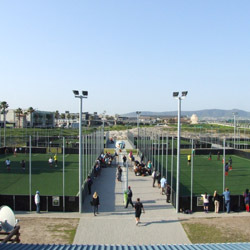 Imagine each courts filled with our exciting products from Bossaball to Archery Tag. Your staff will love our team as they lead everyone through the activities provided. Together with all this, we offer the full package that can including food and drinks from the onsite bar. This is the year your staff will love this thrilling experience as you take your team building or corporate event to the next level. We also have a option to come out to your event and host all our activities on your private site. Our team will come out set up and activate the products for your company, for a unforgettable experience.